Te Rawhiti Marae runs on donations and volunteer work. You can show your support for our amazing marae and community by buying some of our goods below! All prices include GST and will have additional shipping charges. Children's sizes are $12 and Adult sizes are $25. 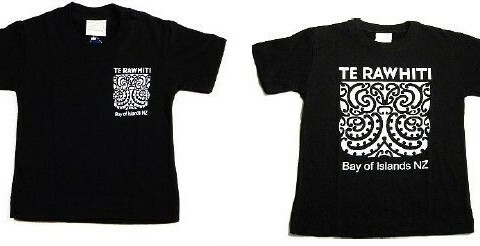 One Response to "Hapu/Marae T-Shirts"
I’d buy a bag/satchel with those designs on it too. Kia kaha!